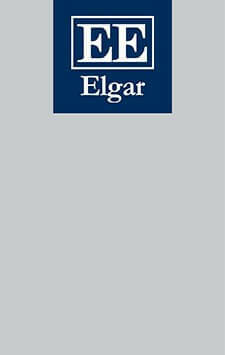 Elgar Research Agendas outline the future of research in a given area. Leading scholars are given the space to explore their subject in provocative ways, and map out the potential directions of travel. They are relevant but also visionary. We face many important global environmental problems today, including climate change, biodiversity destruction, and environmental health issues. Key among the tools we have to understand and solve these problems is research. This Research Agenda argues for a transdisciplinary approach to the study of environmental management to provide better understanding and outcomes leading to practical solutions. By describing the key strategies needed to overcome common global environmental challenges and to undertake successful interdisciplinary environmental research, this Research Agenda demonstrates the possibilities for successful transdisciplinary environmental research. A series of case studies shows how this transdisciplinary approach to research has improved understandings of environmental problems and their potential solutions. Discussing the types of participation required and the difficulties of incorporating diverse groups into research projects, this Research Agenda provides lessons in how to successfully undertake transdisciplinary research in order to meet these challenges. A Research Agenda for Environmental Management provides invaluable insights for interdisciplinary researchers in all fields affected by environmental management as well as students and scholars engaged in environmental research looking for ways to successfully integrate transdisciplinary approaches into their work. 2. Governing sustainability and environmental management: what, why, and how? 9. Policy, science, and transdisciplinary research: when will it be safe to eat as much fish as desired? Jennifer L. Dunn, Jessie L. Knowlton, Robert M. Handler, Erin C. Pischke, Kathleen E. Halvorsen, M. Azahara Mesa-Jurado, Theresa L.